Security software are used by people to protect their devices from the various malicious threats out there in the digital world. The threats come in different forms like virus, worms, trojans, rats, ransomware etc. These malicious files can affect your system in different ways. Some of the programs like the virus can actually corrupt your files and make the system crash. Others like trojans, rats can actually give access of your system to the intruders. Some new type of threats like ransomware will actually lock down all your data and ask for ransom(money) to unlock the data. But everybody is living in with this assumption that nobody will target their system or harm their data. So people are just waiting for the attacks to happen. And then when their systems actually are affected, they are ready to pay to recover their files or system which may or may not be possible. So it is better to stay protected. One such very famous company that is Norton has a program called Norton Security which can work across all your devices. 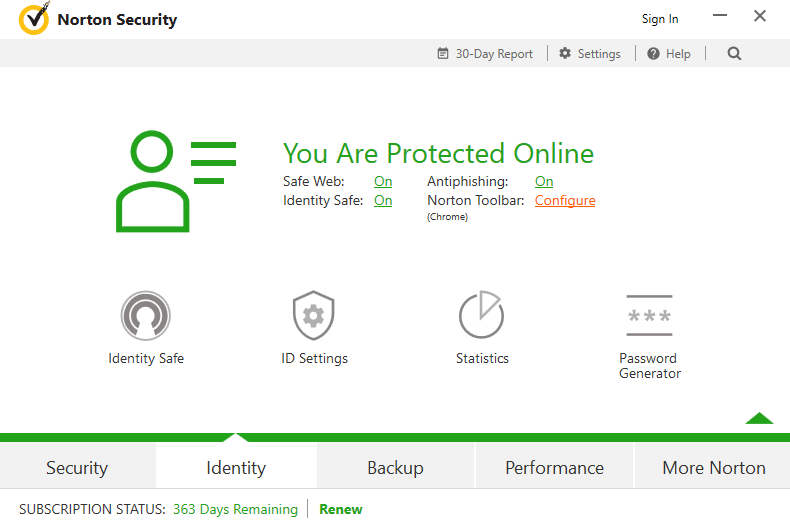 So today we are reviewing Norton Security Premium to find out if it is worth buying. In the past, people considered security programs of Norton to be very effective but at the same time to be resource hungry too. Their antivirus programs actually slowed down the system in the past. As these programs establish their own layer of security on the operating system level, it may slow down the system. But now this is not the case anymore. Norton security is now a light-weight program that can actually work in the background without letting you know. I am not saying it is not eating up any resources, but the consumption is quite low. They don’t have different products for different types of devices. It all comes up bundled in one license depending on the devices you want to use let it be laptop, PC, smartphone, tablet etc. 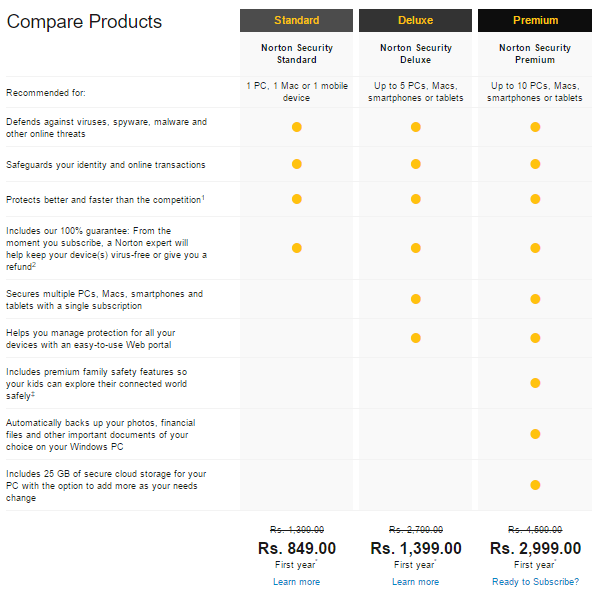 The product that we are reviewing today is Norton Security Premium which is the topmost and has every feature. Though I will also tell you about their other plans so you can choose wisely according to your needs. First let us start off with the basic requirements needed to install Norton Security. After installing the software in your PC, the first window you will see is of Security. It includes Scans, LiveUpdate, scan history and advanced settings. In the Scans menu you can perform actions like quick scan, full scan, custom scan, determining which files to scan, uncovering hard to find problem, and check information about your device. The LiveUpdate option is to update the software from Norton servers. The history has all the logs of update, scans, and any detection that happened during the scan reports. There are many options in advanced settings like Auto-Protect, SONAR(Symantec Online Network for Advanced Response), Smart Firewall, Intrusion Prevention, Email Protection, Identity Safe, Browser Protection, Safe Surfing, and Download Intelligence. The SONAR protection actually detects the behavior of applications running on your machine to detect suspicious actions and take proper measures. The next item on the list is Identity and has everything to do with your online security. The first option is the identity safe which is a vault to store your passwords, form data, notes and credit/debit card details safely. So this can also be used directly in the browser when the vault is open. You need to install browser extension for that. ID settings include Anti-phishing, Norton Safe web, blocking malicious page, site rating icon in search result, and scam insight. Apart from that it also has option to create strong passwords online that will help you to secure your online accounts. 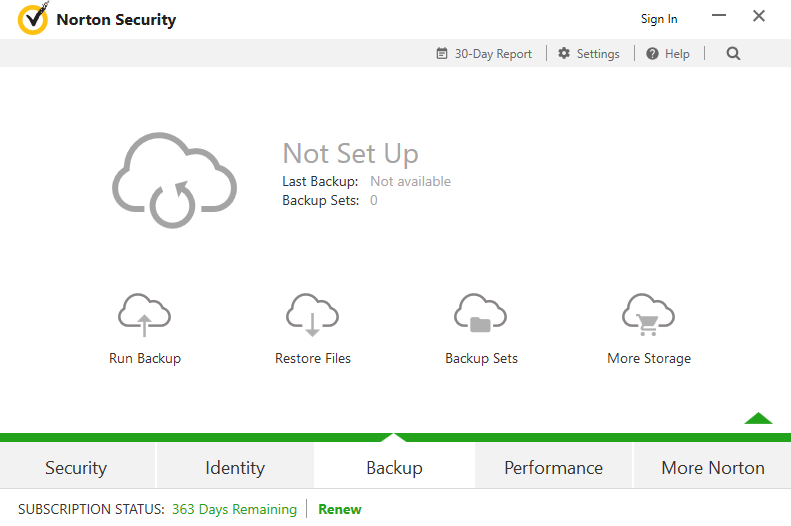 Apart from being an Antivirus program, Norton Security Premium also offers you up to 25 GB of cloud space for storing important backups. In this option you can run backup, or restore one. You can also form backup sets and buy more storage if you wish to. You are Reading: Norton Security Premium: Is it worth it? The next option is the performance tab which has everything to do with the performance of your machine. The first option is to optimize your disk and defragment it to help speed it up. So if you have an old laptop, then you probably must run this optimize feature and experience the difference in booting times, search times etc. Next option is to do file cleanup which basically deletes all unnecessary temporary files that are taking up space on your disk. Startup Manager is the third option on the list. This will open up a list of programs that launch once you boot in your operating system. Too many startup programs may lead to longer boot time. So you can manually disable the programs which you don’t require on startup. The last option is the graph of the performance and the resource usage by the system and Norton based on the time. It will give you a rough idea of the programs that are using the resources too much. Apart from all this, you have option to open up the Norton Web portal where you can manage all your devices at one place. They also have a Family Premiere feature where in you can keep an eye out for your kids activity on the internet and you can restrict the time too. So Norton Security provides an all in one solution in an all in one pack. Other packs apart from Premium are the Standard and Deluxe packs. Below is a comparison table based on the features and number of devices each pack supports. The price for the standard, deluxe and premium is Rs. 849, Rs. 1,399 and Rs. 2,999 for the first year. As of for the mobile and other devices, Norton Security App provides some features like Anti-Theft, locking other apps, and scans for the suspicious permissions taken by various apps. It also trace backs the location to which the data is sent to, which is a very cool feature. So if there are some apps that don’t require some sensitive information like location then Norton will inform you. Overall Norton Security does offer a whole lot of features both online and offline. Almost all the new latest threats are covered by Norton including ransomware which is the latest trending of all. I had no issues using the software and the interface is quite simple with a light-weight security package. If we compare it with other security programs, Norton comes on the higher budget end. Though it is one of the most renowned security company. So it all depends on how much you want to spend on the security. If you have some seriously important data to protect then no compromises on the security end. But if you are a normal user with not much data then you can go for some cheaper alternatives. So I hope now you know the answer to the question if Norton Security is worth buying or not. Though I believe that Security is just a myth, and no solution is foolproof. You can always take necessary measures to ensure maximum protection and avoid attacks as much as possible. But when it is your turn, then nobody can save you except the backup which is kept offline locked up somewhere safe. Post all your doubts and queries in the comment section below. ASUS Zenfone 5Z worth buying? I was using avg from a long time but now, I have switch into Norton from last year this is the perfect security suite I have ever use.